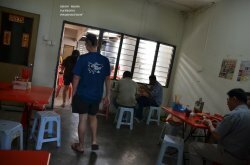 Semenyih Famous Pan Mee is a place for Pan mee lover to enjoy place , Pan mee 板麺 is a Hakka-style noodle , originating from Malaysia . Its Chinese name literally translates to "flat flour noodle". 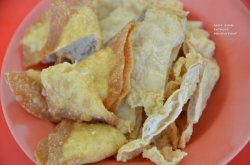 It is part of Malaysian Chinese cuisine . The dough is made from flour . Traditionally, the dough is hand-kneaded and torn into smaller pieces of dough . Nowadays , the dough can be kneaded using machine into a variety of shapes , the most common shape being flat strips of noodle . 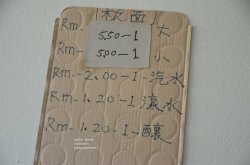 finding the shop is abit tricky especially if you don’t read Chinese. 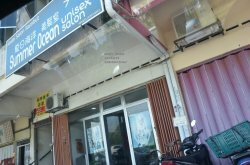 The shop is located above Summer Ocean Unisex saloon , spot out for the yellow banner infront of the staircase entrance . 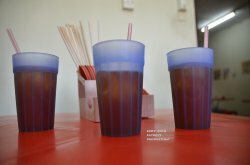 The pan mee dough is made fresh and kneaded using machine into a variety of shapes by an uncle sitting there and doing it bowl by bowl . 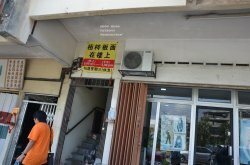 The shop is manage by aunties and uncles that sounds like homemade taste , The shop looks like a shophouse with rooms . Plastic tables & chairs set up in rooms and the hall , chairs line up to customer for take away . Pan mee noodle and Pitch Pan mee soup , Big bowl RM 5.50 & small bowl RM 5 . 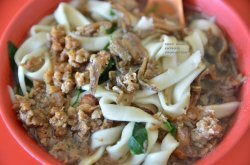 The portion fullfit as traditional Pan mee with dried anchovies , minced pork , slice mushrooms and a leafy vegetable such as sweet potato leaves . 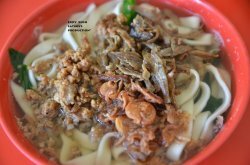 The soup plays a very important role in the preparation of pan mee. Typically, the soup is prepared by boiling pig bones and dried anchovies for hours in order to bring out the flavor .